A great way for children to start learning sounds and experimenting with music. 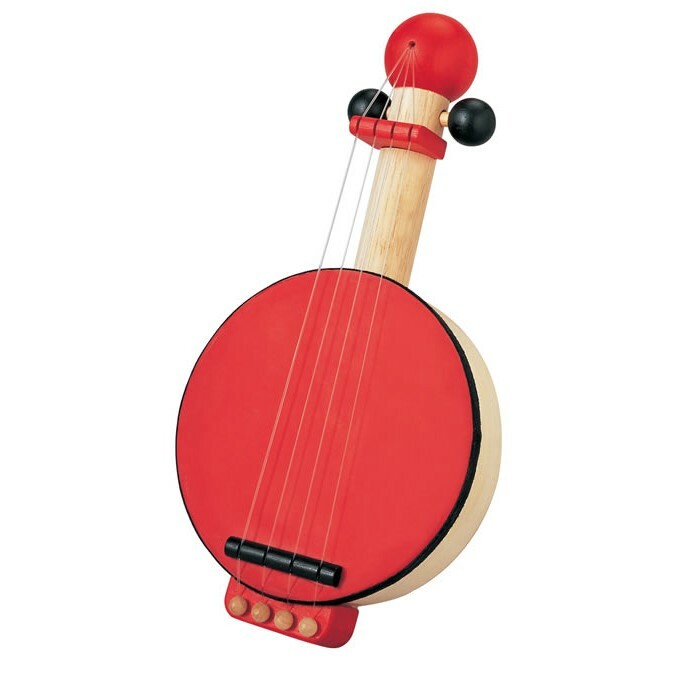 Strum your fingers across the strings to make a typical banjo sound and you can also tap the drum on the front to make a beat too. Great fun for young and old. Sustainable wooden toys from Plan Toys are made from recycled rubber wood that would otherwise be burned. Proudly made in Thailand with a strong emphasis on fair trade working conditions and investing in the local community.